Fashion expert, award-winning TV presenter and author Gok Wan made his mark by giving women the confidence to appreciate their bodies and brings out the inner-diva in everyone. 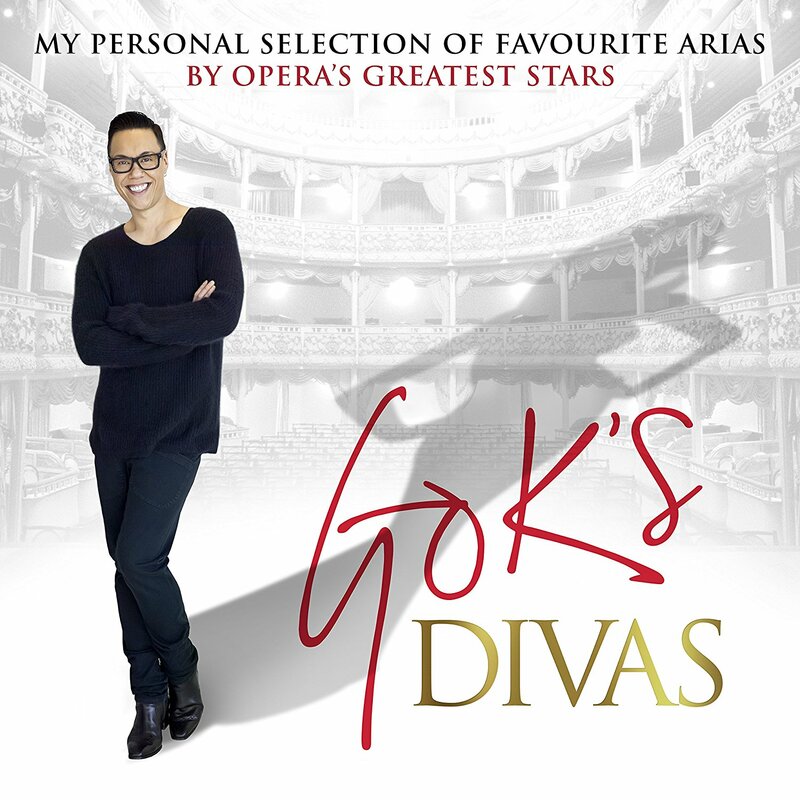 Gok has a passion for opera – the music, the drama, the costumes, the spectacle – and above all: The Diva! Gok’s Divas brings together some of the most celebrated and beautiful showstoppers from the opera world, from La Boheme to Les Miserables. Gok has curated the album, infusing his well-known passion into the project. "I think I first discovered opera in the 1980s,” Gok says. “I remember watching a film called The Hunger, with Catherine Deneuve and David Bowie. It was about vampires, and it had this song in it, The Flower Duet by Delibes, which I just absolutely loved. My ear immediately became sensitive to it." "Opera, as we know it, is quite a closed community. But I wanted to build bridges for people who felt just like me, people who loved the music and wanted to find out more, I suppose I’m here to say: Opera is for everybody. It’s for all of us." He has been developing that ear ever since. By his late teens, he was studying performing arts. "That was when I started listening to opera more and more: to Madame Butterfly, to Tosca and Puccini and beyond. The more I heard, the more I loved." The album features 30 classic numbers from opera and musical theatre, including works by Puccini, Bellini and Mozart alongside Bizet, Gershwin and Bernstein along with favourite performances by Maria Callas singing Casta Diva, Dame Kiri Te Kanawa singing Un bel di vedremo and Montserrat Caballé’s O Mio babbino Caro. The album also features some newer versions of old classics such as Natasha Marsh with Alfie Boe singing the ‘drinking song’ from Verdi’s ‘La Traviata’ and Katherine Jenkins singing the original French language version of I Dreamed A Dream from ‘Les Miserables’. 2CELLOS, music's most electric and dynamic instrumental duo, go to the movies for their new album Score. 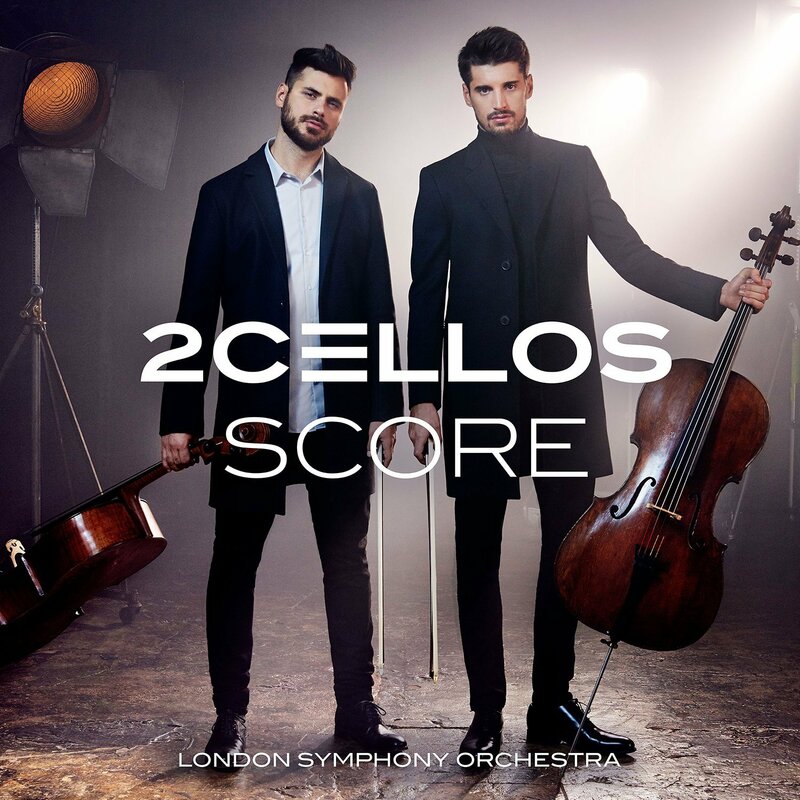 Bringing 2CELLOS' game-changing sound and style to the most popular melodies ever written for classic and contemporary movies and television, Score finds Croatian cellists Luka Sulic and Stjepan Hauser exploring a more traditional sound-world. Joining them here to provide the ideal aural backdrop to their virtuosity is the London Symphony Orchestra, with conductor/arranger Robin Smith at the helm. Sulic and Hauser also co-produced Score with Nick Patrick (Jackie Evancho, Il Divo, Placido Domingo). On Score, themes that drove some of the biggest block-busters in film and television history are featured in fresh new treatments including an arrangement of Ramin Djawadi's melodies that score Game of Thrones, Oscar-winning themes from James Horner's Titanic ("My Heart Will Go On"), John Williams' Schindler's List and Vangelis's Chariots of Fire, as well as "For the Love of a Princess" from Braveheart (also by Horner); "May It Be" from The Lord of the Rings: The Fellowship of the Ring (introduced in the film by Enya); and the inspiring "Now We Are Free" from Gladiator, by the film's composer Hans Zimmer, Lisa Gerrard and Klaus Badelt. The vocal beauty of the cello's sound is also a perfect match for a brace of romantic themes, which include the Henry Mancini/Johnny Mercer song "Moon River" from Breakfast at Tiffany's; Ennio Morricone's beautiful themes for Cinema Paradiso and Malena; Nino Rota's love theme for The Godfather; Francis Lai's Oscar-winning theme from Love Story; Hans Zimmer's theme from Rain Man; and Stanley Myers' haunting "Cantilena" heard in The Deer Hunter. 2CELLOS have forged a signature style that breaks down the boundaries between genres of music, from classical and film music to pop and rock. As impressive when playing Bach and Vivaldi as they are when rocking out, Sulic and Hauser know no limits when it comes to performing live. They have sold out shows around the globe and also performed with Sir Elton John as part of his band, as well as opening his shows to rapturous acclaim. 2CELLOS are the first instrumentalists to be featured on Glee. They have also appeared multiple times on The Today Show and The Ellen DeGeneres Show in addition to The Tonight Show, The Bachelor Live Wedding Special among others. Two important anniversaries approach from the cellist Mstislav Rostropovich, widely regarded as the cellist of the twentieth century. The 10th anniversary of his death falls on 27th April, and the 90th anniversary of his birth falls later this month. In honour of these milestones, both Deutsche Grammophon and Warner have gone to town with bumper boxes worth of any discriminating collectors attention. Normally, I confine my recording of the week to new recordings, but the significance of these issues means they are my joint recordings of the week. I put the DG box first, because if forced to choose it would be the DG box, on balance, I would select. Amongst the gems to be found here is, in my view, the finest ever recording of Dvorak’s Cello Concerto with Karajan and the Berlin Philharmonic, coupled with a magical performance of Tchaikovsky’s underrated Rococo Variations. DG also draw on recordings made in the 50s and 60s by their now deceased sister label Philips, including the complete Beethoven Cello Sonatas with Richter, the Brahms Sonatas with Serkin, and a much later DG recording of the Beethoven Trios with Mutter. Also invaluable, this time from the Decca catalogue, are the recordings he made in Aldeburgh with Benjamin Britten. 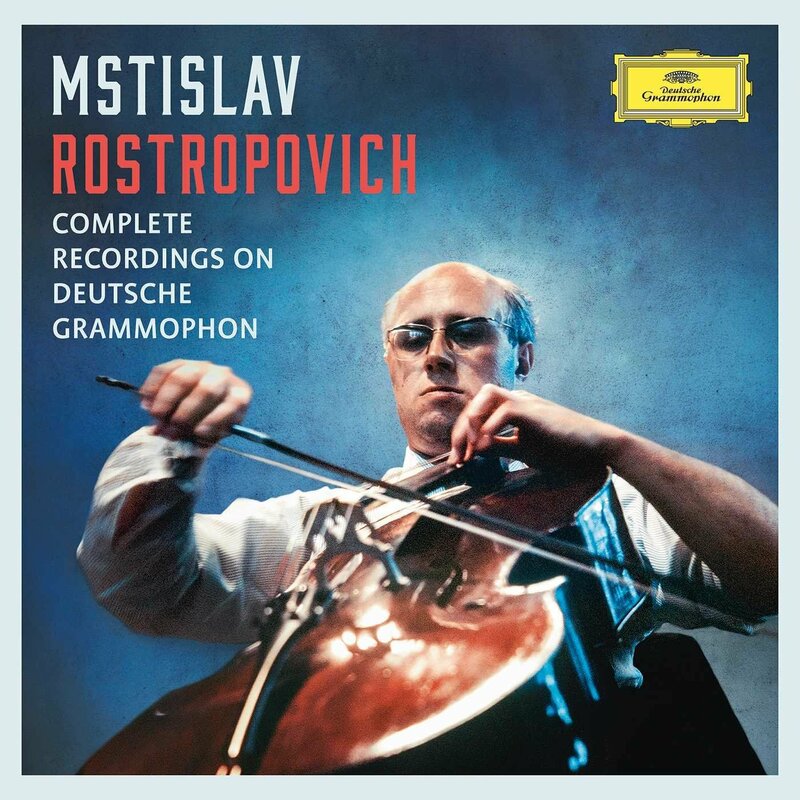 A dozen of these CDs feature Rostropovich as a conductor. As a cellist he had a passionate commitment to the music, a remarkable tone, and an ability to interpret cello music in ways that were, for the most part, utterly convincing. As a conductor he was more wayward. Nevertheless, the passion of the finest ballet music is well conveyed in suites from Prokofiev’s Romeo and Juliet, and from the celebrated Tchaikovsky Ballets. Interesting, but of more questionable worth are complete recordings of Tchaikovsky’s Queen of Spades, and Puccini’s Tosca, featuring his wife, the soprano Galina Vishnevskaya, a formidable singer in her time, but in both of these recordings, captured past her best. Warners are sometimes extremely casual about the extraordinary archive they inherited from EMI, as in their recent badly curated, shoddily presented supposed tribute to Dinu Lipatti to celebrate his centenary. But sometimes they go to town, as they did when remastering the entire Callas catalogue. 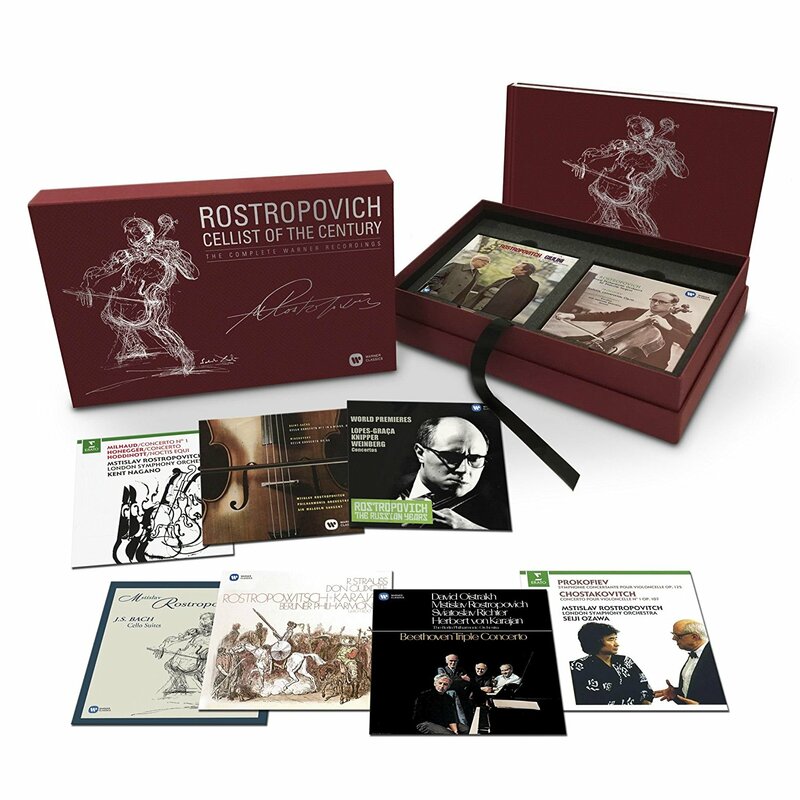 And now they’ve done it again for Rostropovich, with recordings made primarily for EMI, but some valuable ones for Erato, and a collection of Russian derived live recordings, originally issued as Rostropovich: The Russian Years. These latter issues are more for specialists including as they do music by composers that won’t suit everybody like Boris Tchaikovsky, Tischenko, Knipper, and Miaskovsky. This will perhaps limit the attractions of this set to Rostropovich completists. But here is a great deal to delight the general listener also, led by the celebrated recording Rostropovich made with Richter and Oistrakh of Beethoven’s Triple Concerto, with Karajan and the Berliners. There are also two powerful recordings of the Brahms Double with Perlman and Haitink, and with Oistrakh and George Szell from Cleveland. I also like the Haydn Concertos with Marriner and the Academy. The three DVDs are the complete Bach Cello Suites, filmed 1991, and the Dvorak and Saint Saens concertos filmed with Giulini and the LPO in 1977.